Life is good with a dessert like this! It’s easy to make, pretty and cheerful to look at, right?!! We’ve been having some lovely cooler weather, I actually made soup… in June. But today is a bit warmer and it’s going to be in the seventies for much of the rest of this week. It might even pop into the eighties at some point. Which for here, that’s our heat wave and I am not complaining. Remember I used to live where it’s over one hundred degrees much of the Summer and for sure into the nineties in June. So I’m good with soup in June and seventies all week long. 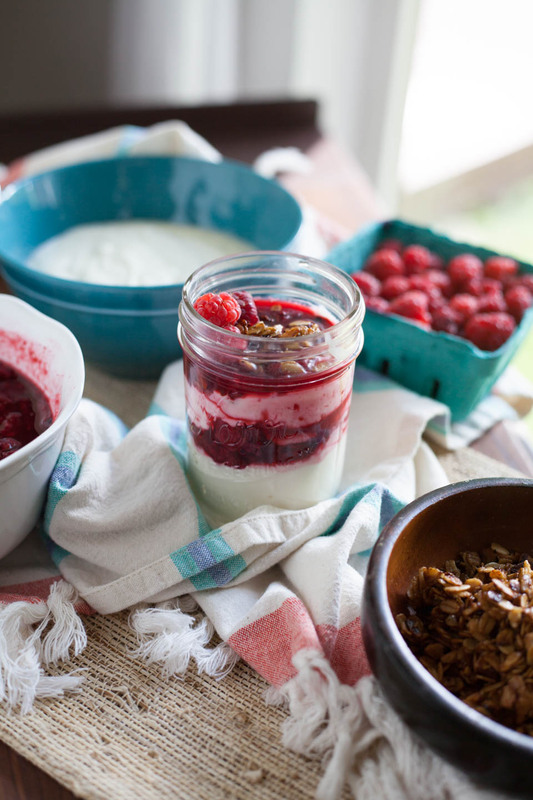 But I still want to keep the oven off most of the time, so I made this Mixed Berry Yogurt Parfaits with Pan Toasted Granola and Coconut to keep things cool in the kitchen! It worked gloriously, especially since berries are starting to pop up around the garden. Brian picked us a huge bowl of raspberries from our bushes and it went straight into this sweet treat. Ok, we may have eaten a handful before making this. But we certainly had enough to add to the top for a fresh bite of berry. I cook the berries for a nice compote sweetened with either maple syrup or honey, whatever is your preference. You can add or omit the sweetener if your berries are super sweet or you enjoy more ore less sugar. That part is up to your taste buds! Also, I’ll be sharing this recipe in Portland on ABC’S KATU CH2 with Helen on Wednesday June 21st from 9-10am, so tune in to see the goodness! 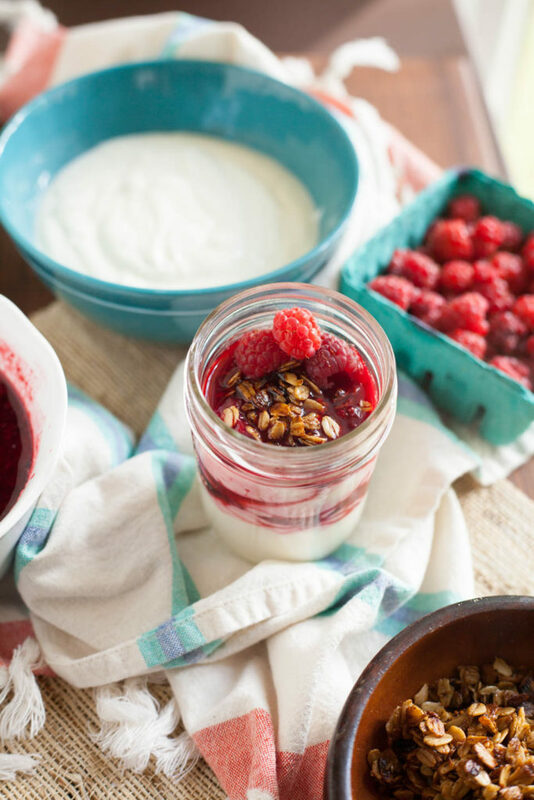 You’ll need 6- 8oz parfait glasses, mason jars, or bowls. In a large skillet add butter over medium low heat. Brown butter for 2-3 minutes, or until golden brown color. Add 1 tablespoon maple syrup, oats, and a pinch of salt, stir and toast for 10 minutes. Stirring occasionally. Pour into a bowl. Add coconut and toast over medium heat for 3-5 minutes, or until golden brown. 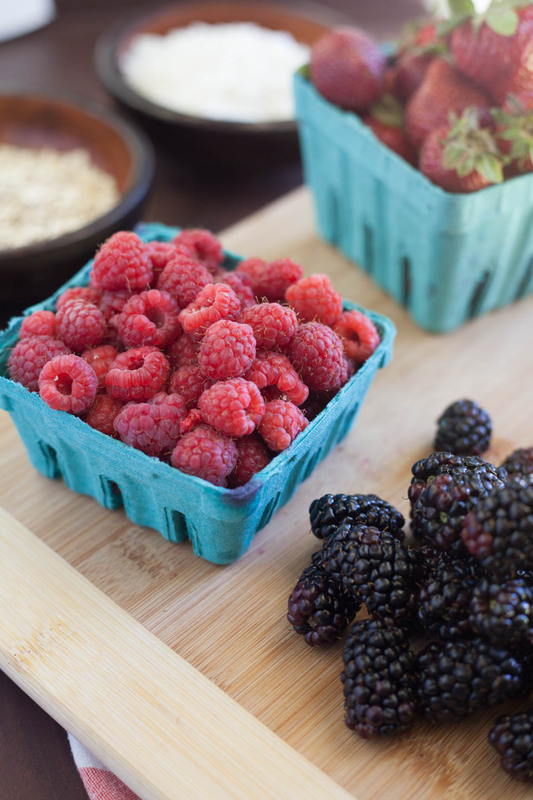 While the oats are toasting, cook berries. In a medium saucepan add berries, lemon zest, lemon juice, 3 tablespoons honey or maple syrup, 2 tablespoon water, and a pinch of salt. Stir and cook uncovered over medium heat for 10 minutes. Mix the Greek yogurt with 2 tablespoons of honey or maple syrup using a fork. Add more sweetener if you enjoy it more sweet. 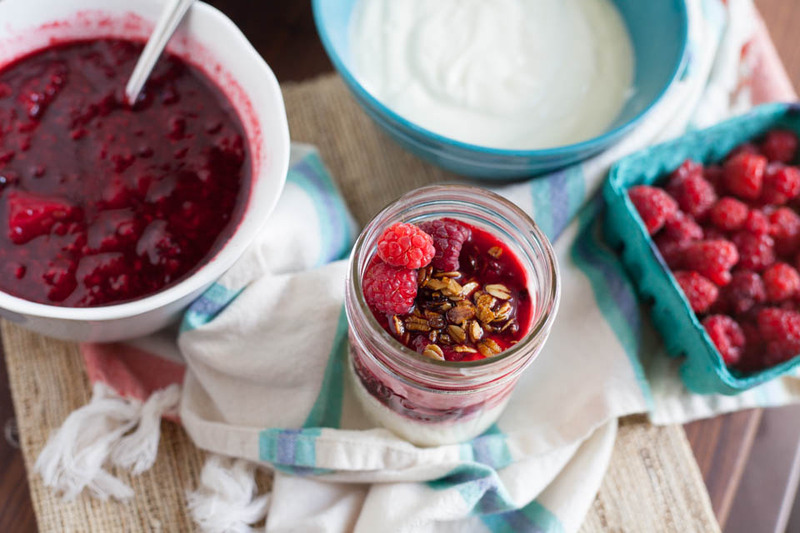 To assemble: Layer yogurt and fruit, top with toasted coconut, oats, and fresh berries. Store cooked fruit and yogurt separately in air tight containers in fridge for up to 3 days. Store oats and coconut in an air tight container on counter for a couple of days.